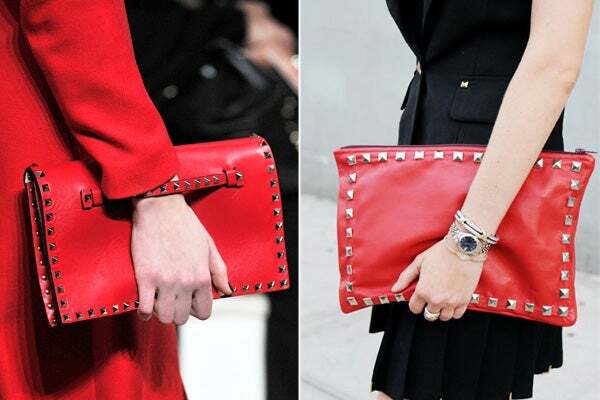 Just when we thought we'd never stud again, Valentino's metal-embellished shoes and bags came around and forced us to eat our stud-denouncing words. No longer relegated to the rock-'n'-roll chick alone (although, that still works, too), the Valentino details add even more sophistication to a classic and simple silhouette. Naturally, we were inspired to flex our DIY muscles and got to work on our own interpretation — and we have to say, we're loving the results. 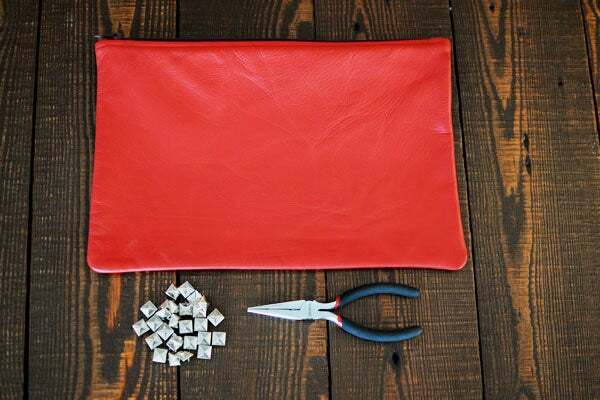 For this easy and quick project, just grab a plain leather clutch and then follow us as we show you how to totally transform it. Click through for the step-by-step! 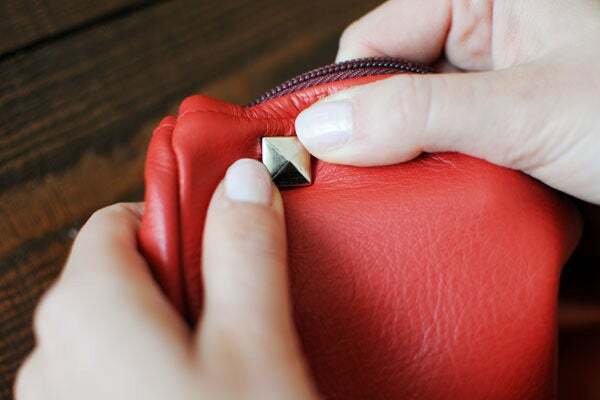 Step 1: Position your first stud in the left corner about a half-inch away from both sides. Press the prongs through. 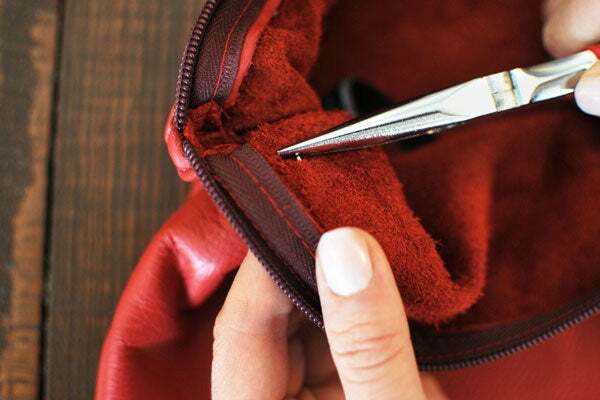 Step 2: Use your pliers and flip the prongs back to attach the stud to the inside of your bag. 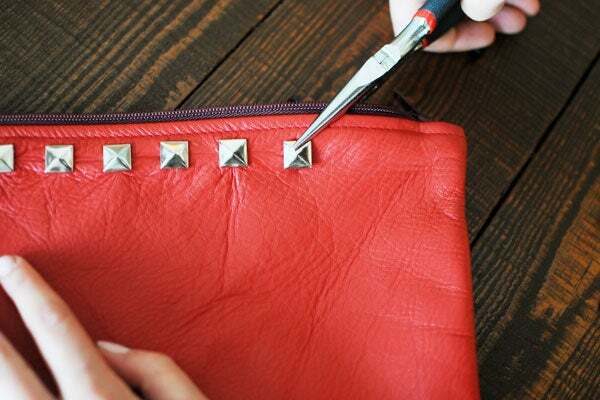 Step 3: Use a loose stud to measure the distance between the first stud and the next. Attach the next stud. 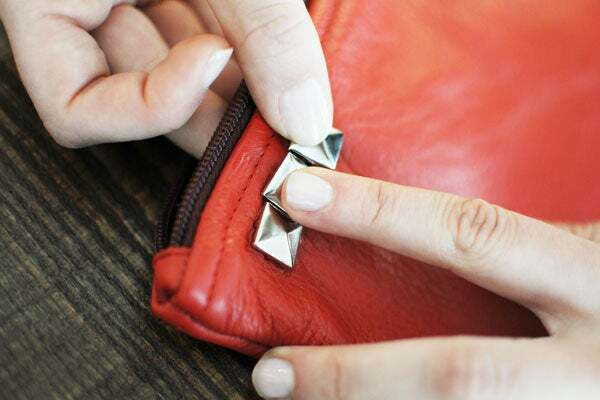 Step 4: Continue working horizontally, making sure to leave a full stud's space in between each. 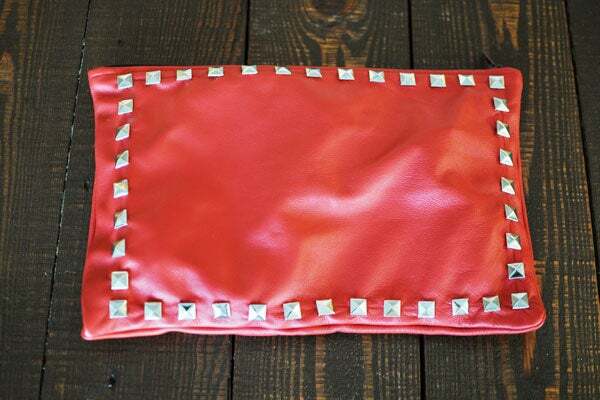 Step 5: When you reach a corner, make a sharp turn and continue studding down the new side. Voilà! 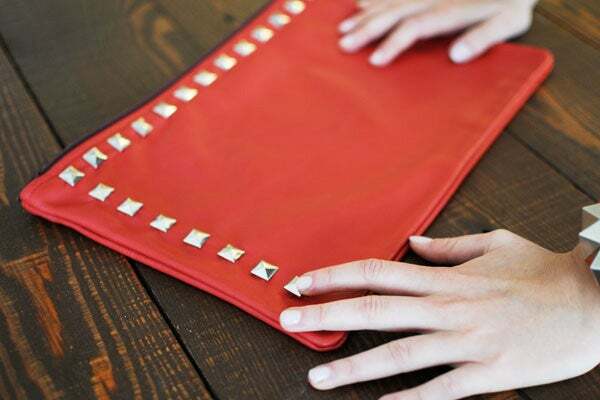 Now toss your phone, keys, and cards in there, and go outside!